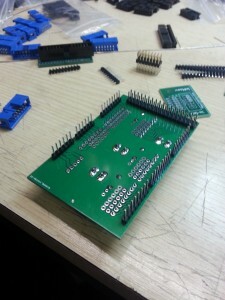 This is a tutorial for the Nervo board assembly. Notice that some picture used are for a previous model, that means your board will be a bit different. 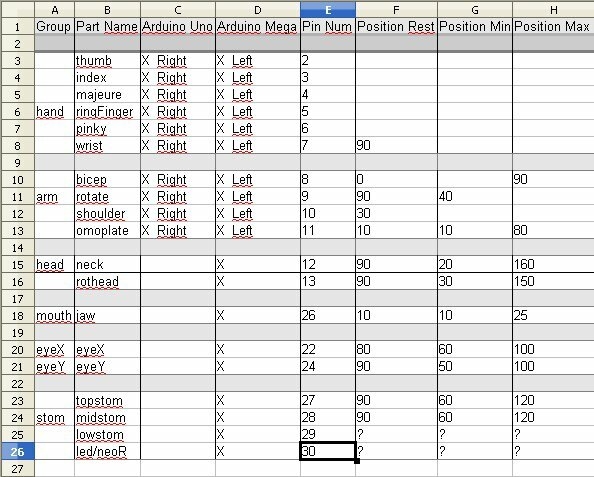 Also this tuto is explaining how to assemble the Nervo board for a Arduino Mega. The Nervo board for the Arduino Uno is almost the same but you need to cut the Nervo board on the blue section line. 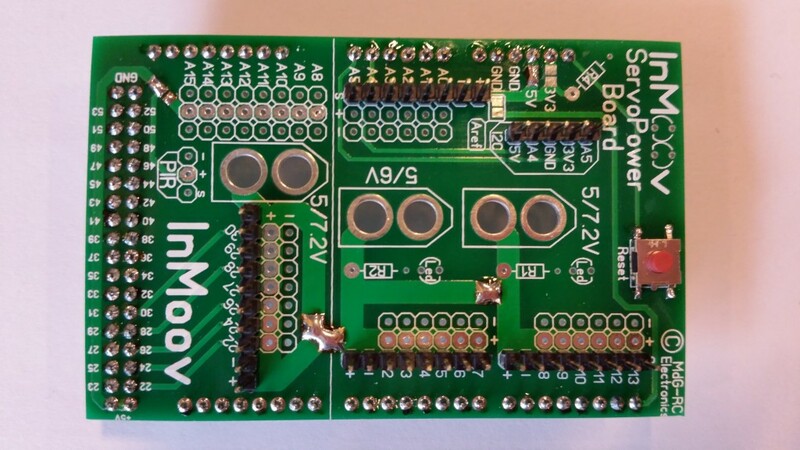 Beware, The very first batch of boards (18 boards in total produced and sold before 17/02/2015)are concerned. Please read carefully bellow what Marten says. The arm connector is sometimes causing shortcut, depending on how it is welded. Just in case, to avoid possible shortcut, you have to de-solder two Male pins from the Male-Connector or not weld them at all”. We are very sorry for those of you that need to de-solder the pins. Start by adding and welding all the headers on the bottom necessary to fit to the Arduino Mega board. 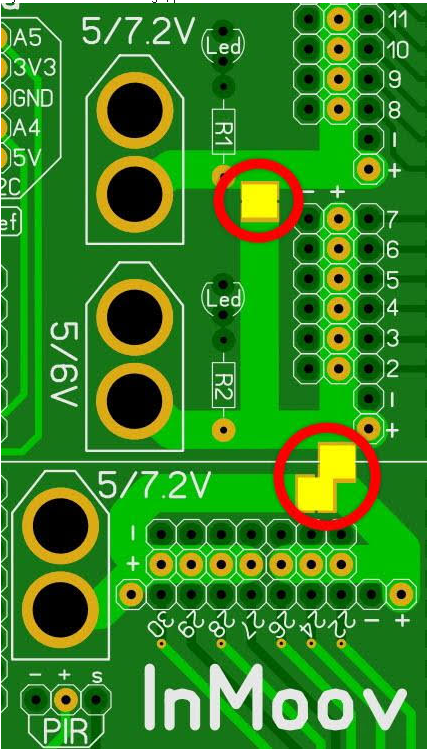 Notice the red location dots, if you plan to use the same voltage for all the servos you will need to bridge by welding these spots. 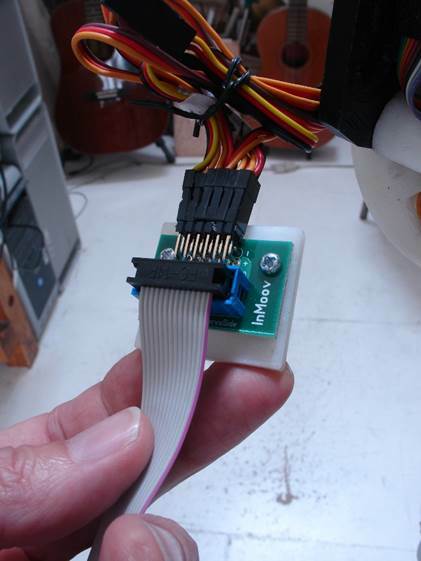 In another words, if you want to have different voltage for your servos, don’t bridge them but add extra XT60 connectors. You can have up to 3 different voltage. Add and weld the headers on the top of the Nervo board as shown on the picture. This will be to add the upper boards later. Also weld connect the powers if you plan to use the same voltage for all the servos. Soldering the little back connector option 3.3V or 5V to power last analog pins. Step5 and 6 are optional. If you don’t plan to have finger sensors or some sensors connectors, please jump over to step7. And if you want it to work with 3.3V, you also need the Aref and this must also be activated in the Sketch ! If you don’t use the Aref option, the resolution is not longer 0 to 1024 ! Add the Analog headers for the finger sensors. Step7 is optional, therefore the next steps won’t show the leds and resistors. 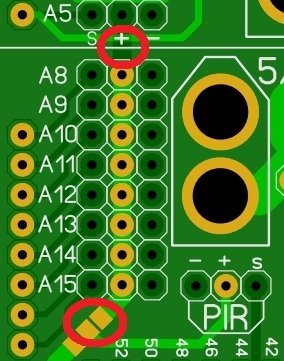 If you don’t want to add leds to your Nervo boards to illuminate the logo and to see when your board is under power, Please jump over to step8. Otherwise, add and weld the various leds(5V) and resistors(Resistor 4700 ohm). Mount and weld the upper boards on the Nervo board. If you have finger sensors, mount the third upper board( see step5 and 6). Weld the power yellow XT60 connectors. On the bellow picture they are blue and slightly different, this was a previous version. If you have two Nervo Boards to power, you can add a XT60 connector in order to make a jumper cable. It’s now time to solder all the header IDC Socket and the Angle Male Pin Header to the mini breakout boards. Respect the numbers of pins needed per parts as shown on the bellow picture. 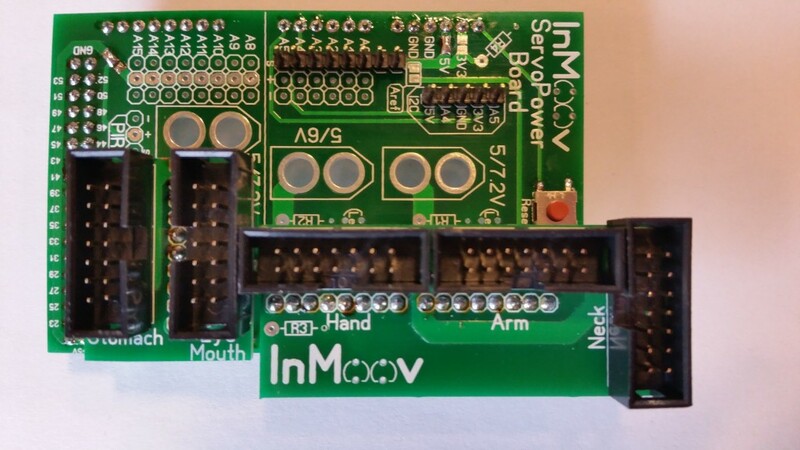 Bellow are the 3 optional finger sensor breakout boards. Only 2 are used. The third is a spare. The value depends, so it’s hard to give the correct value. I think 100Kohm is a good value to start. Fix the 14 Conductor Ribbon Cable to the Header Socket Connectors. 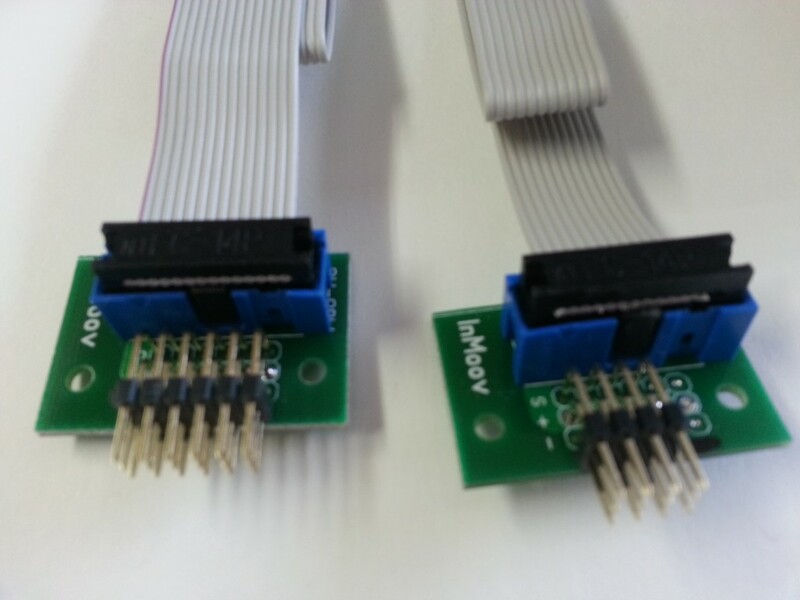 (Notice: The 14 Conductor Ribbon Cable is not included in the Nervo boards kits) It is very important to make sure to respect at all time the polarity of your ribbon, other wise you might burn your servos. To respect the polarity, make sure your ribbon has a red line on its side. If not it is a good idea to use red sharpie pen and mark it. Here is how the connectors should be mounted on the ribbon with red line. Be carefull not to get shortcut connections, this exemple below was badly assembled and the ribbon got very warm and could have melted. Once everything is welded and ribbon cables are connected, Marten suggest to run a test with a multimeter. Quote: “It’s better to check first the resistance between the Plus and GND connection(s) with a MultiMeter (Resistance mode) ! DBefore mounting the Mega/Uno Nervo boards to the Arduino, measure between the Plus and GND Power input(s). Everything is fine, when there is no resistance between these connections. And after each step, measure the Plus and GND connection(s) again, until there is no resistance any more. Mount all the mini breakout boards as shown. Fix your Arduino boards and Nervo boards as shown on the back of InMoov. There is no specific place to attach them. You can connect the two Nervo board power supply together, this is handy when using only one battery or one power supply. You should be now ready to run some test with MyRobotLab. Is it right not to bridge the GND point and the 5V point? I have added some images and text on the tuto last night, it shows where to bridge the 5V or the 3v3 for the analog sensors, the ground is on the back of the board. I have a little problem with the flat ribbon cable. I have connected for testing purpose one servo (arm-part) First every thing work fine, but after a while the ribbing cable burns. I think the ribbon-cable get warm and creates a short cut. 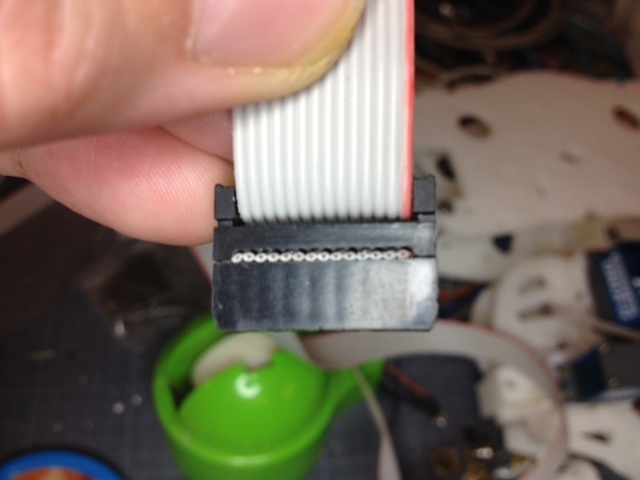 Do you use a spezial ribbon cable for more power? I use normal ribbon. And I have six servos connected on them without getting them warm. I’m guessing you had a short cut from the start and it went worse. Did you run the test Marten suggest in the tutorial using a multimeter to make sure you have no shortcut? Yes, i have done. I measure the resistor for the LED. The servo works first. I have moved the servo to a postion he was not able to reach (mechanical reason) because i want to adjust the min and max postion of the servo. My name is Marten and I’m the designer from this PowerBoard. The best way to check for a shortcut in the connection, is to unlink your power-supply and remove the PowerShield from your Arduino board. Also disconnect everything at the Servo-Side. If you don’t see any resistance there is no ShortCut, if you measure 0 ohm or more, there is something wrong ! At this moment I don’t have a complete board, otherwise I would make a picture how to measure. Marten Has given a good reply I think. I have tried to recreate your issue assembling the ribbons a bit sideway and it gives a shortcut. Check your ribbons connectors to make sure they are very well sitted in their corresponding gaps. 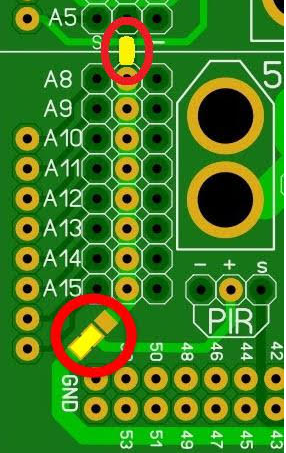 Make sure also you use the corresponding mini board for the correct part on the Nervo board. Ex: Eyes/Mouth mini board connects to Eyes/Mouth Nervo board. Swapping will will result in shortcut in some cases. @Gael: That was an very important note. I have made something like this. I have located the shortcut to the arm Connector, but do not find it. Without connecting the Arm Connector everything works fine. But when i finally connect the arm connector i have a shortcut. It is egal which arm connector i use (right or left) it is always the same. I have a short cut, but i do not find it. I measure the resistor as Marten de Groot described. I am able to remove the circuit board with the hand, arm and neck connector. So i am able to measure each board separetly. 5. Hand, Arm, Neck board and plugged ribbon and plugged Arm circuit -> SHORT CUT ! I am not sure but perhaps i have made something wrong with the arm circuit. I am nor early sure but it look like connecting these broads must have i short cut. But i do not know how to assemble it in the right way…. It is hard for us to help you more. 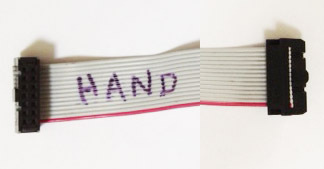 You need to measure each wires seperately on the arm ribbon part, to see which one causes the shortcut. do you have seen my pictures? I have send an email, because i am not able to link the pictures. I am very sure that each circuit have no short cut. The ribbon has no short cut. I have bought some. The Problem was, that top and bottom of a specific Arm connector circuits do NOT have connection. You have to drill a bigger hole, and keep aware that no tin flows to the opposite side. And very sorry that this is happened. For more info, please go to the top of this page ! Hello! Congratulations for the wonderful project that you are developing. I am Brazilian and I started to assemble the InMoov by the head of the model. It looks like the C3PO from Star Wars or like the movie “I Robot”. I work designing solutions for Magnetic Resonance (doing equipments). I´m having trouble when I try to login to download the Nerve Board board. Would you help me? My login is AntonioCesario and it is not working. I hope I could contribute for the development of the InMoov project on the future! Have you tried changing your password recently? I haven’t used Lipo batteries because of flight restrictions. The battery I use are very basic gel 6V12AH you can purchase just about in every country. It allows InMoov to run for about 45 to 60 minutes depanding on what you are doing. You can purchase them for about 20 euros and sometimes even less. Check the Hardware and BOM page on the site for more infos about the battery. 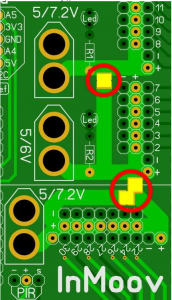 I would like to ask you if it’s possible to buy a pre-soldered nervoboards? I don’t want to overheat the chip or make shortcut with my poor soldering skills. With the machine soldering it would be just so much cleaner and free of human error. Thanks for the reply and keep up the good work! I ‘m sorry to say it is not available in the shop. I am planning to set something to make it available, but it won’t be before at least 5 or 6 months if I find the correct supplier. To reassure you there is no chip on the board, only connectors and pins. If you are using an Arduino Uno, what other changes need to be done other than lopping off part of the main board? For example, what changes need to be done to the finger sensors? If it’s possible, leave the board complete so there is a option to upgrade the Uno with a Mega in the future. If you want to cut the Mega part, that’s no problem. 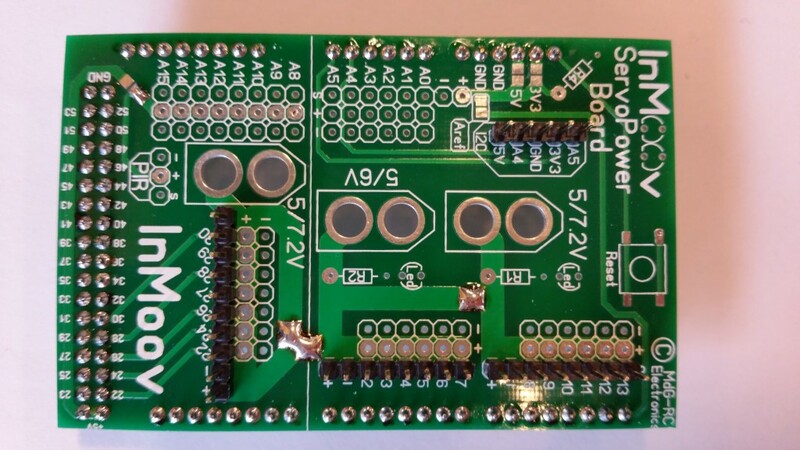 The analog pcb which is connected to the NervoBoard can cut without any problems. Nervo Boards just arrived perfectly! 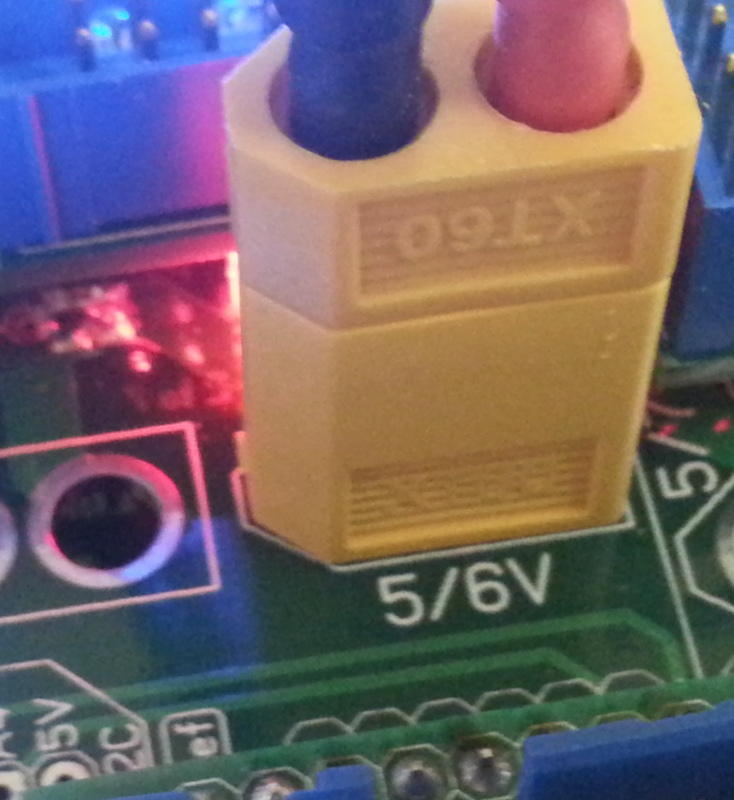 The pins in the MdG-RC are now corrected as I can see! And the mini boards are even cutted off, lovely! 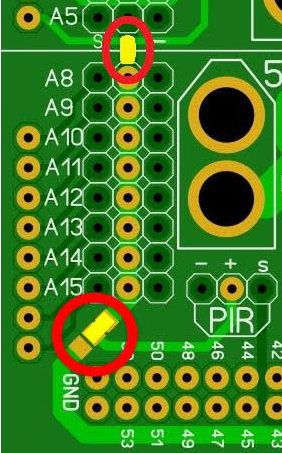 I received the nervo board (beautiful) and I need some informations about resistors used for LEDs : you said that we need 470 ohms resistors but in the picture used to illustrate that, we can see that it’s a 4,7 Kohms resistors, why ? Is this important ? Sorry, my electronics skills are poors. Many thanks for this great project ! I’m glad you got the answer on the forum. I was busy working on the TEDx show. I have set connectors in the shoulders to be able to disassemble the arms, same thing by the bottom of the neck. Très occupé en ce moment, je ne consulte pas mes messages… Désolé. Je pense, car avec des photos c’est toujours plus parlant, qu’il manque la soudure sur le pont derrière la Nervo board. Regardez cette image qui presente la board vu de derriere, il y a un petit pont soudéentre les deux “headers”. Is it possible to manufacture ourselves how we can get in Nervo Board. There is many available servo Arduino shields schematics on the internet. nervo board we receive from you absolutely must. Can you tell me an example of a shield. I’m a little confused. Please can you help me a little bit about it .. 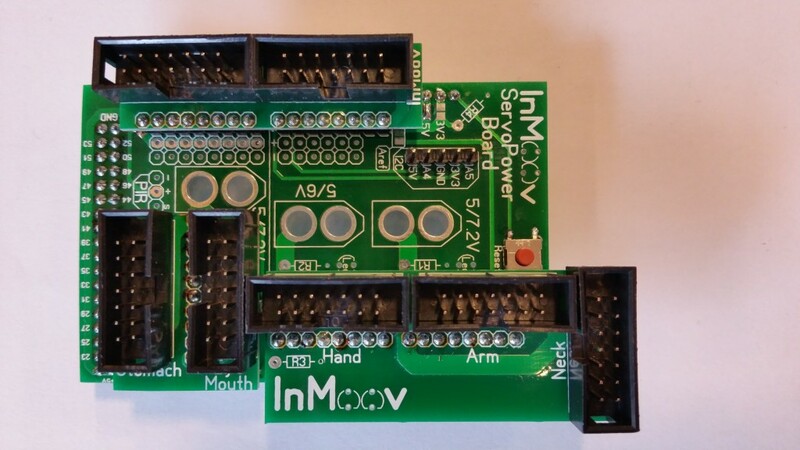 If you get the Nervo board from the online shop, it is a shield for Mega Arduino created specially for InMoov. All connections are standard with pins to suit the already available scripts working with MyRobotLab. Mr. Ogun, i might be able to assist with your questions. The resisters listed under Nervo BOM should be 4700 Ohms as best as i understand. Not 470 Ohm. If you only use one battery, and if it is 6V, only solder the 5/6V connector. Hello Gael sir, bow you connected nervo board to Arduino board? You said 2 arduino boards and nervo boards are used then how you connected Nervo to Uno? Please can you show me with circuit diagram? 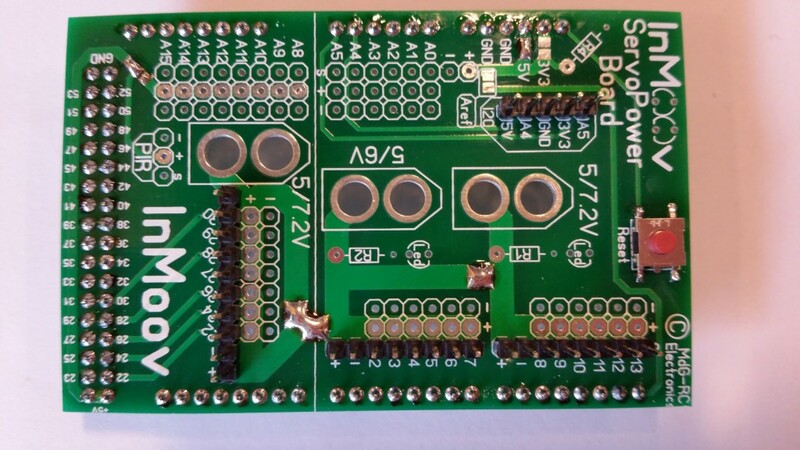 The Nervo board is a Arduino shield that means it is made to be plugged over the Arduino Mega. If you look at the pictures you will see the Arduino board under the Nervo board. When do you expect to have more Nervo Boards in stock? But you can order as backorder now anyway. We are a group of 19 students in mechanical engineering and one teacher and we are beginning to build our inMoov robot. 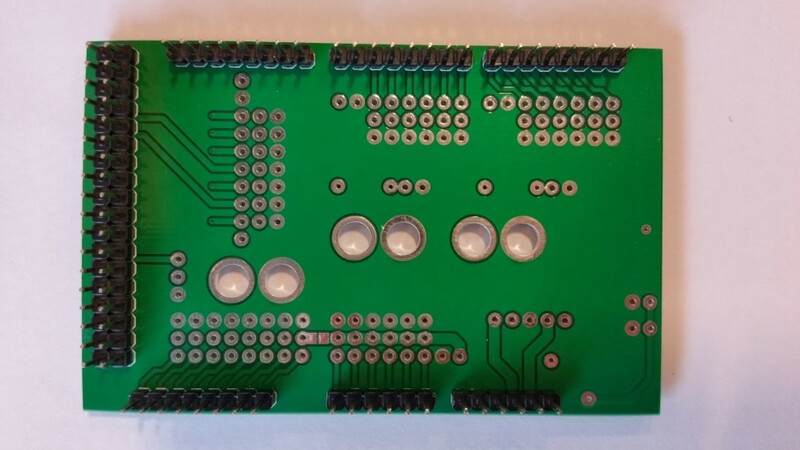 On the site we don’t find the documents for making our own PCB of the Nervo boards. 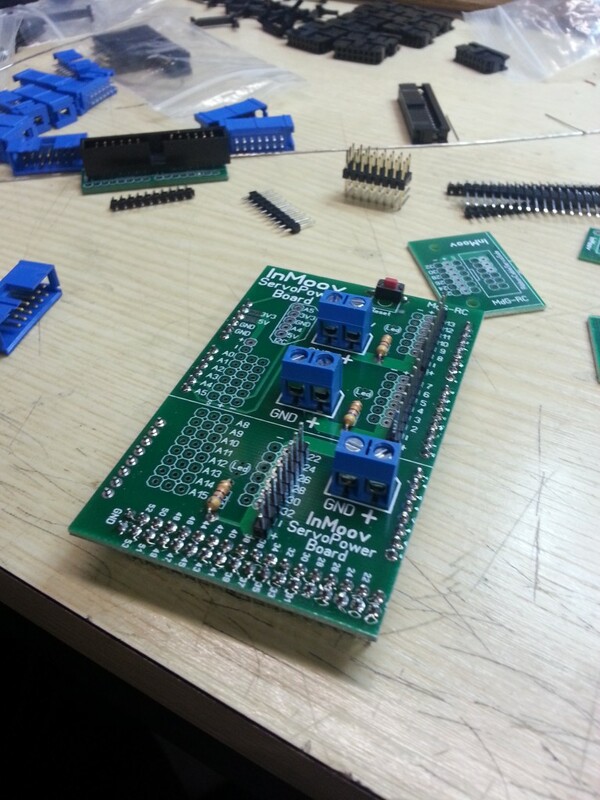 It is difficult for us to buy the kit of Nervo boards but we have all that is needed for making PCB ourselves. So could you give us a link for downloading the documents (typons) in order to make the PCB. Hello to the 19 students and teacher! The PCB documents is not available because it is only source of income for the project. As you know I share InMoov for free and I get no subsidies help of anykind. For me to maintain the site updated, and respond to all he emails it is a lot of work. 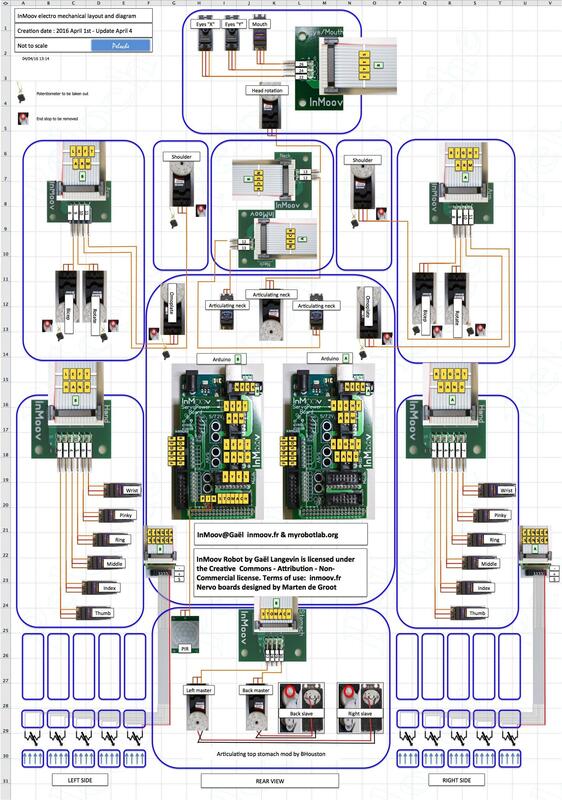 Therefore two persons from the Netherland propose to help me on this basis by redesigning my original Nervo board. By purchasing the board, you help me to go on with the project, it is a sort of donation that benefits both sides. There is other sort of Arduino shields on the market, but i’m not sure they are really cheaper though. Thanks for your understanding and I surely hope your superiors will understand as well. We understand very well your point of view because you spend a lot of your free time working on this project and we are very grateful for this. For us the price of the Nervo boards isn’t the problem because it is not abusive at all. The problem for us is that the administration of our engineer school only admits paying when the products are effectively delivered and doesn’t admit paying before on a website. We’ll have to find another solution. order placed last Wednesday, any news on when it will be shipped? I was missing some components to make the full kit. Some bad inventory due to stock management on the site. Anyway, it is now solved and shipped, you should have received a tracking number by email. 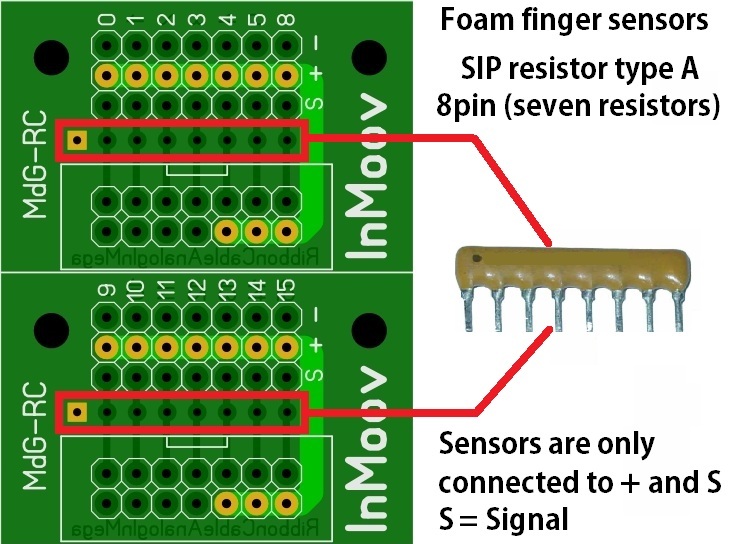 What are the advantages or disadvantages for using 3.3V or 5V for the fingersensors ??? If you use the Antistatic foam you can choose any of both voltage, but some other sensors might require 3.3V. By step 3 do I have to solder little back connector for 5 volt or if i not solder it i have 3.3 volt? And by step 2 i have to solder 3 point but the bottem one there are 3 spot to solder do I have to solder them al togheter. 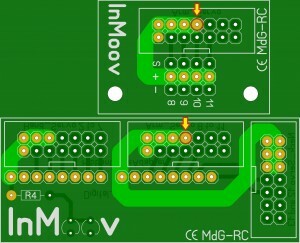 In step 3 it will depend of your choice at step 2, if you have selected 3.3v or 5v. If you do not solder, there is no voltage. So in step 2, the three spot to solder, that is where you make your choice. 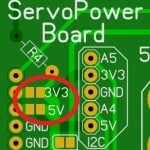 If you have selected 3.3v, only solder the two spots for PIR power 5v. Personaly I have it all set for 5V. Sorry to hear you have some issues. You definitely must have missed something during soldering. There is hundreds of Nervo Board users out there, and the eyes, mouth and stomack board receives power. I have soldered about 6 Nervo Boards and they all work perfect. 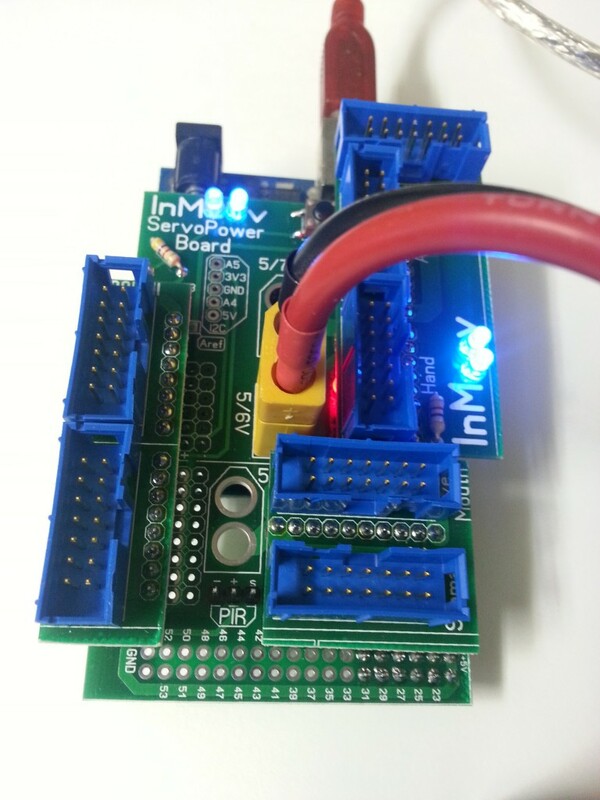 Please check STEP 2 above and see if you have missed some power solder bridges ! Or share a picture to make it easier for us to help. J’ai récemment acheté votre kit nervo-board. Il est soudé et J’ai commencé à le tester. A priori je n’ai pas de problème excepté pour les diodes optionnelles (step 7) qui ne fonctionnent pas. Quand je regarde le circuit en détail (par exemple les deux leds dans les O de InMoov, il me semble que le circuit des diodes est bien connecté à la résistance R4 mais que la résistance elle même n’est pas connectée au reste du circuit, ce qui fait que les diodes ne s’allument pas lorsque que le circuit est sous tension. Idem pour la led du connecteur XT60 5/6V. Aurais-je manqué quelque chose ? Je ne suis pas en possession d’une Nervo Board car a l’etranger pour quelques jours. Postez votre pb en Anglais, je pense que Marten pourra vous venir en aide. On ne vérifie jamais assez. J’avais une led soudée à l’envers. Hello, Gael! Is this set just for 1 hand, arm and sholder or it is for all robot? 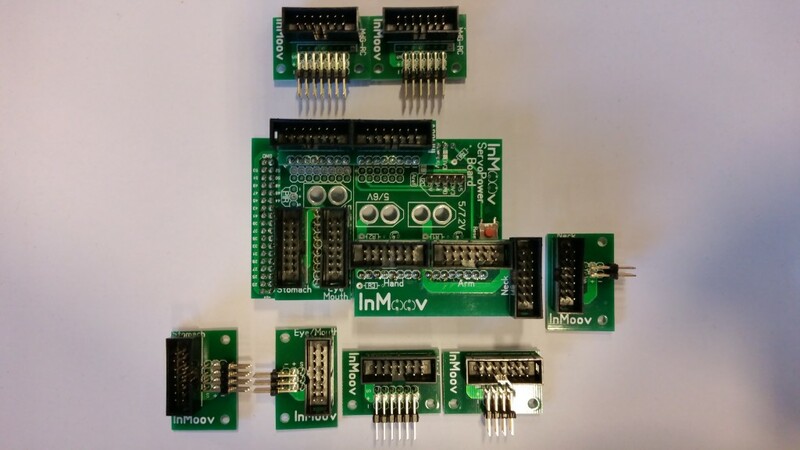 If you build a full InMoov Robot, you will need two Arduino Mega and two Nervo Boards set. I purchased the Nervo boards and components. Where do I find the applications? 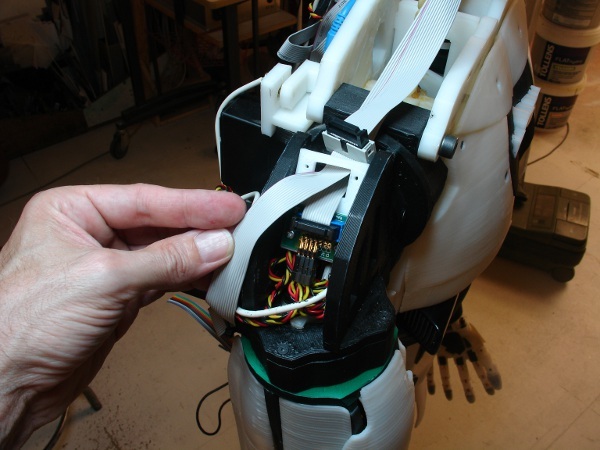 All the software and parts to 3D print are available on the InMoov site, either under build yours or in the gallery. i have been asking alot of questions and not getting any answers. another question i have is the m3x12mm phillips flat-head wood screw, are these self tapping screws? they seem to be the only ones i can find. 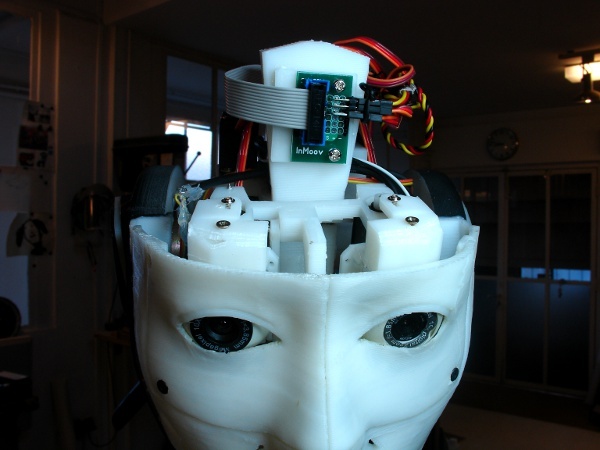 Remember InMoov is not a company, it’s a personal project I share for free under a cc-by-nc licence. You might get answers by the community if they have time or if they know what to answer. Where did you ask all your questions without answers? The 3×12 screws are self taping but, somehow you can put whatever you find suitable for your need or at your hardware store. 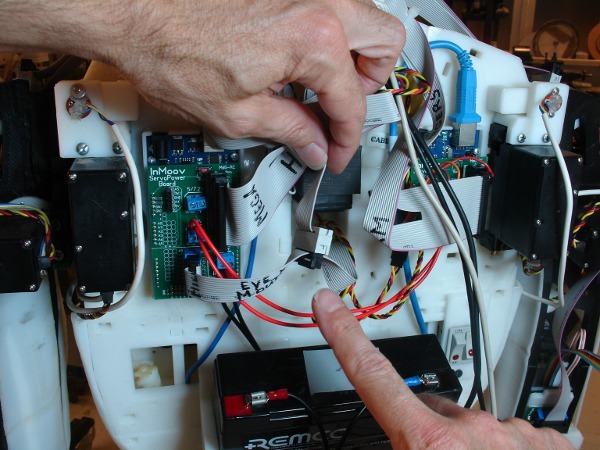 All clues are not given with InMoov, you need to think like Mac Gyver. I understand. I will think more like Mac Gyver. That helps. Sorry, I am not sure I understand your issue your sentence has no punctuation. The new Nervo Board can also do 6Volts. The soldering is pretty much the same tan the old boards. tout d’abord merci gael pour ce magnifique partage! c’est extraordianire! mais j’avoue que je suis un peut perdu etant donné que je n’y connais encore pas grand chose et que les plaquettes que j’ai recu sont legerement différentes de celles du tuto. je suis vraiment tres débutant en electronique, pour beaucoup de chose c’est du chinois pour moi que je décripte chaque jours et je ne veux pas faire d’erreurs des le départ…. 1ere: sur ma plaquette “hand/arm/neck” j’ai l’impression de devoir “dissoudre les broches” , il y es a 4, comment doit on proceder? j’ai l’impression que sur les petites mdg-rc il n’y a pas besoin de le faire. 2eme question: il y a une ligne de plus”neopixel” dans quel sens doit on souder les broches? 3eme: est-ce que je dois donc souder l’aref ? qu’est ce que le sketch? 4eme: sur les petites cartes de dérivation, la ou on soude les connecteurs coudés il y a souvent par exemple 4 numero qui correspondent aux broches coudées plus un + et – de plus, il servent ou serviront a quoi? c’est une allimentation de plus? Pas de souci, c’est en apprenant que l’on sait. il faut donc bien débuter un jour en étant novice. 1- Qu’entendez-vous par dissoudre les broches? 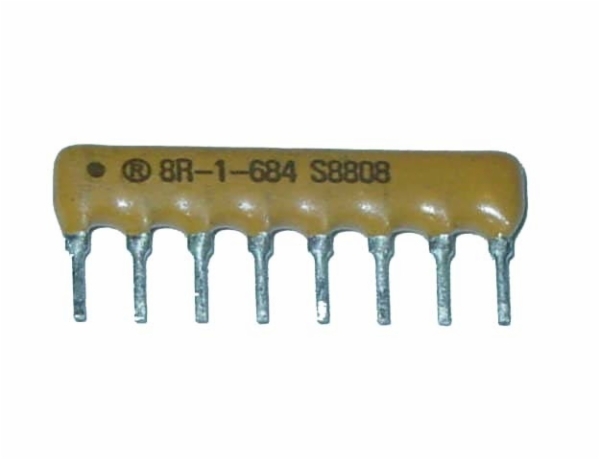 Il faut juste enfoncer le “header/broche” dans le bon sens sur la plaquette puis souder à l’arrière chaque pins. 3- L’aref est à souder si vous avez l’intention d’utiliser une carte extention fonctionnant avec i2c. 4- Effectivement c’est une option si vous souhaitez étendre l’alimentation à d’autre composant. merci pour la réponse, mais je ne comprends toujours pas tres bien certaines choses. pour souder les pin, pas de soucis mais c’est juste par rapport au tuto ou au départ il est marqué qu’il y avait une série ou il etait nécessaire de dissoudre des broches, si je compare la plaquette que j’ai recu et celle du tuto dans le cadre “arm’ j’ai 4 pin sur la première ligne dans le rectangle ou il y a le détrompeur alors que dans le tuto il en faudrait 3.
pour le neopixel c’est toujours sur le nervo boardqu’il y a une nouvelle ligne de 13 pin “neopixel”, je ne sais pas vraiment ce que je dois en faire. par rapport a l’erf, pour quelle raison aurais-je besoin d’une carte d’extension? je cherche a faire au plus simple en suivant au maximum les tuto, je pense pouvoir déja rencontrer suffisamment de difficulté a surmonter 😉 . 1- Votre carte n’est pas concernée, car elle est bleu et ne fait pas partie de la série a dessouder. une Arduino Nano. Il faudra ensuite connecter votre Neopixel a l’Arduino Nano suivant le tutoriel. merci beaucoup de prendre du temps pour m’éclairer, c’est bien mieux maintenant. un dernier petit détail, si je comprends bien l’aref est une option, du coup je peux la souder même si je ne l’utilise pas par la suite ça ne crée pas de problèmes. et par exemple moi qui aimerai des paupières amovibles devrait passer par l’aref et un composant i2c, c’est bien ça? Oui l’aref peut etre soudé meme si on ne s’en sert pas. Pour la connection des paupieres, le service est déja implémenté. Il suffit d’utiliser les pins disponibles de la NervoBoard de droite 22 et 24 qui correspondent aux yeux de la NervoBoard de gauche. I’m using the Advanced Eye Mechanism (https://www.thingiverse.com/thing:2548952) together with the nervo boards. 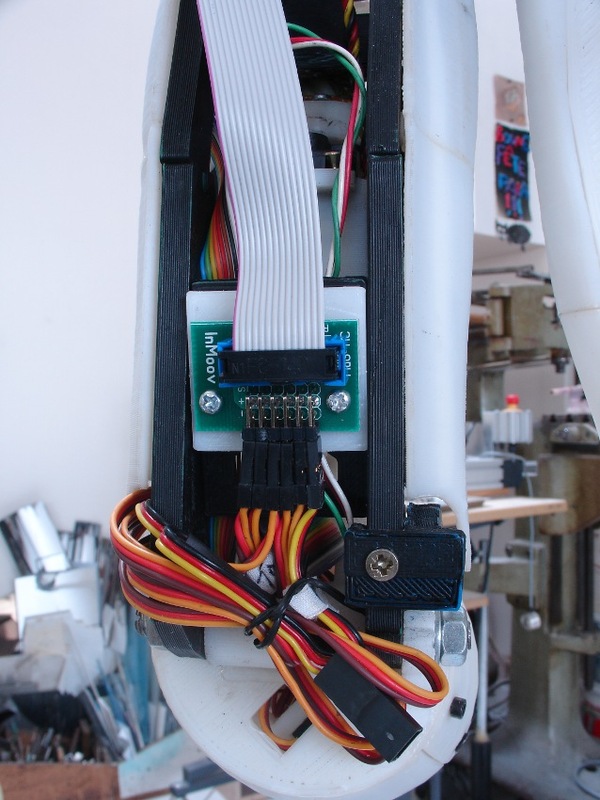 As this mechanism has four more servos than the standard eye mechanism, I would like to use the Stomach Socket on the second Arduino that is available. This seems to be the easiest way to connect them. I would like to know the pin connection from the Stomach Port so I can create a corresponding Socked that will go into the head. Any chance to get the details for this ribbon cable without debugging it with my multimeter? I have everything soldered so its difficult without seeing the connection to find it out myself. Yes you can use the stomach pins to control the extra servos for your eye mecanism. The pins are listed in the hardware and BOM page. You also can see the pin definition for each skeleton part in the config files. We are a company in Spain with a VAT number. We are trying to buy the nervo set but there is no way to add our VAT number, meaning that the invoice will include the taxes and that wouldn´t be correct. InMoov Campus is very new as a company, and I am trying to set the woocommerce to work worldwide, but unfortunately it is not a easy task. You may try again as I have added the VAT pluggin. Hopefully it works, if not let me know and I will try something else. It looks like it worked as I have included my VAT number and the taxes are 0%. Once I receive the items, I will ask you for the invoice. Non désolé, je n’ai pas le temps de souder les cartes. Déjà le conditionnement et les envois me prennent beaucoup de temps. Allez, un peu de courage, vous allez y arriver à les souder, sinon faites vous aider par un ami. Hi Gael, I just put together my first set of Nervo boards that I order a while ago. I am not to happy with the soldering job I did so I decided to order another set and do it again with the knowledge I gained doing the first set. 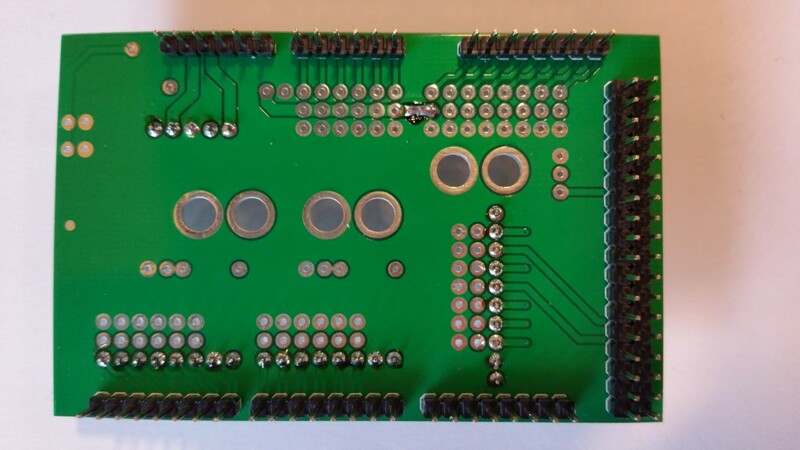 One improvement I intend to make is replace the header pins used to connect the Server Board to the three daughter boards with a set of female headers so I can remove them if necessary in the future. Also I think it will make for a neater setup. Can you see anything wrong with that approach? No its fine to do that. The only inconvenient is, when disconnecting the headers you might end up disconnecting the daughter boards. But that isn’t terrible. Not sure I completely understand your request. I assume you have purchased only one Nervo board and try to connect other parts as the second bicep, second shoulder to only one Nervo board. If you use other pins then the default for the second bicep, shoulder, you will need to modify the skeleton configuration file. But remember, you won’t be able to use the pre created gestures. 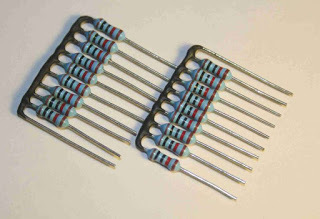 Que valor tiene las resistencias estandar para “finger sensor” sip resistor no hay en mi tienda de electronica. Y quiero unir las resistencias para formar el SIP. A 100K ohm is a good value for the resistor. Entonces necesito 2 arduinos para control total. Un mega y un UNO. Pero como los conecto entre si? Hello, it’s better to have 2 Arduino Mega. More free pins. 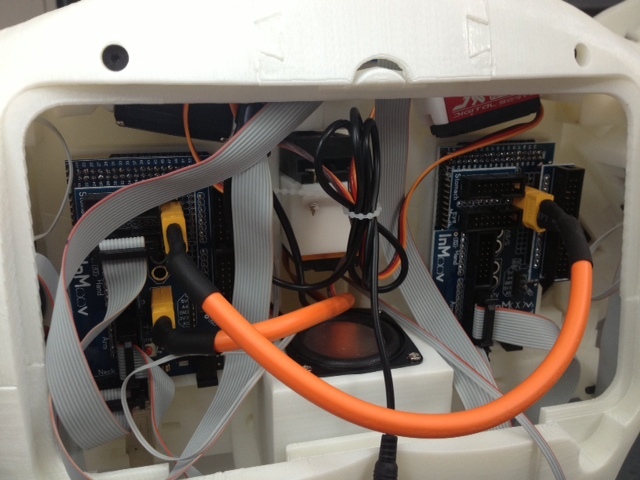 They are connected via USB to the computer and controlled by MyRobotLab. 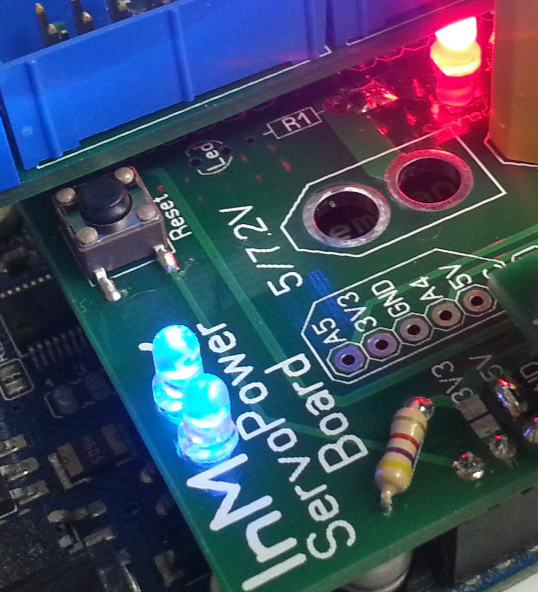 Est-ce que les ports de communication dont utiles pour la nervo-board? Il y a bien les pin connectés a la nervo mais pas de connexion sur la nervo, je crée un système activativator que j’aimerai connecter a l’arduino. Oui les ports COM sont utilisés via l’USB de l’arduino Mega. Tous les rx/tx sont utilisés ? Vous pensez qu’il est possible de se repiquer dessus quand meme pour faire communiquer le mega avec l’arduino nano? Nota:les photos du tutoriel n’apparaissent plus, je viens de m’en rendre compte. Je vais tenter de les retrouver. 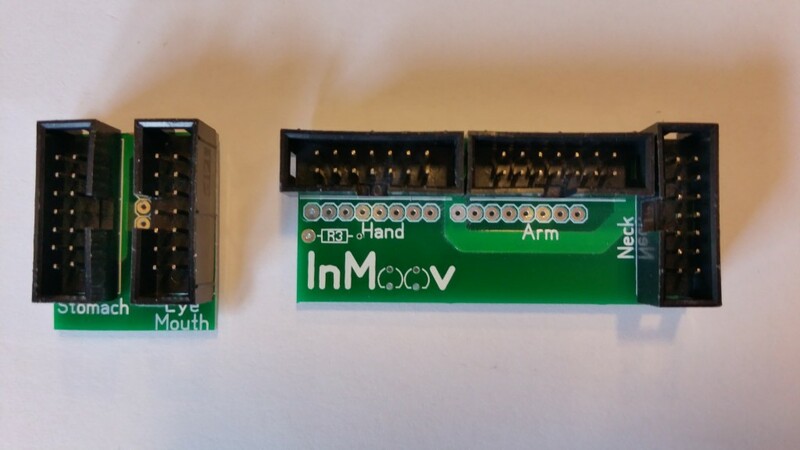 I have purchased only one Nervo board and 2 Arduino Mega, I connected the left arm, left hand to the Nervo board then to the first arduino. can I connect the right arm , right hand to the second Arduino mega without using another nervo board ?? or should I have 2 nervo board ? or should I connect the left and right to the same nervo board and the same arduino ! I don’t understand in tut how many Arduinos mega you used ! and how many nervo boards ! 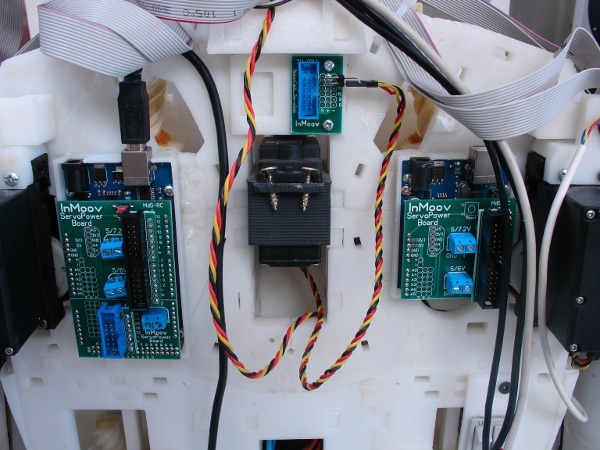 If you are building a complete InMoov torso, you will need two Arduino Mega and two Nervo boards. I tried to make it as clear as possible, but sometimes some builders miss to read it. First, I thank you very much for all this good job you offer to everybody. I’m begining a full inmoov robot, even if I’m still wondering so many things about my own skills. However, I would like to buy 2 nervoboards, but it seems unaivalable on the shopping card. Do you have any delay ? The shop will be closed during the month of August, because we cannot assure correct shipping times. Hi! I love the project! I’m from Argentina and actually i’m building a complete InMoov torso (head, two arms, two hands and torso) and wanna append the legs in a future. I would like to buy 2 nervo boards and components, do you have any ideas about the shipping to Salta, Argentina and when would be possible to buy in shop? I have already shipped Nervo Boards to Argentina with no issues. The average shipping time is about two weeks, but depending with your customs, it can take sometimes much longer. 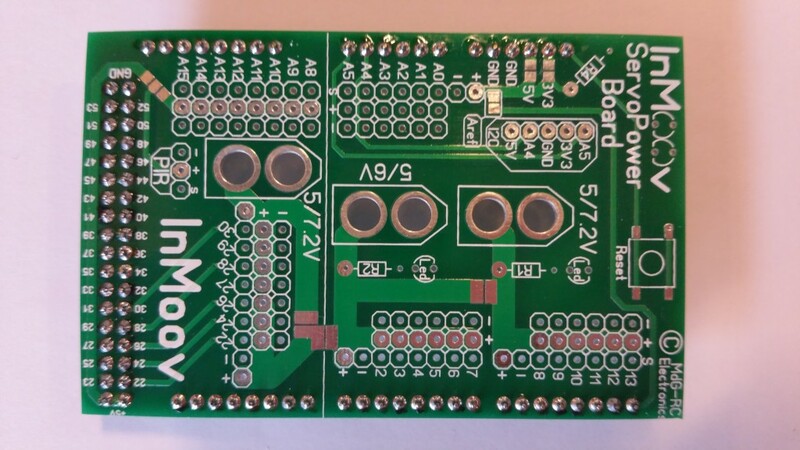 Nervo Boards are back in stock, if they become out of stock again, you can still place a backorder. Je viens de recevoir mon kit nervoboard 3 jours après ma commande ! Gael peux tu me dire quel type de cable tu utilises (cable orange avec connecteur XT60) pour réaliser la jonction d’alimentation entre les 2 cartes ? Quel type de capteur PIR tu utilises ? Merci et bravo pour ce projet qui s’annonce passionnant à construire. Content que la Nervo Board soit deja livree. Pour le capteur PIR HC SR501 dispo sur ebay et autre site. First off, thanks for an amazing project. After keeping an eye on it for some time i decided to commit to starting a build myself. 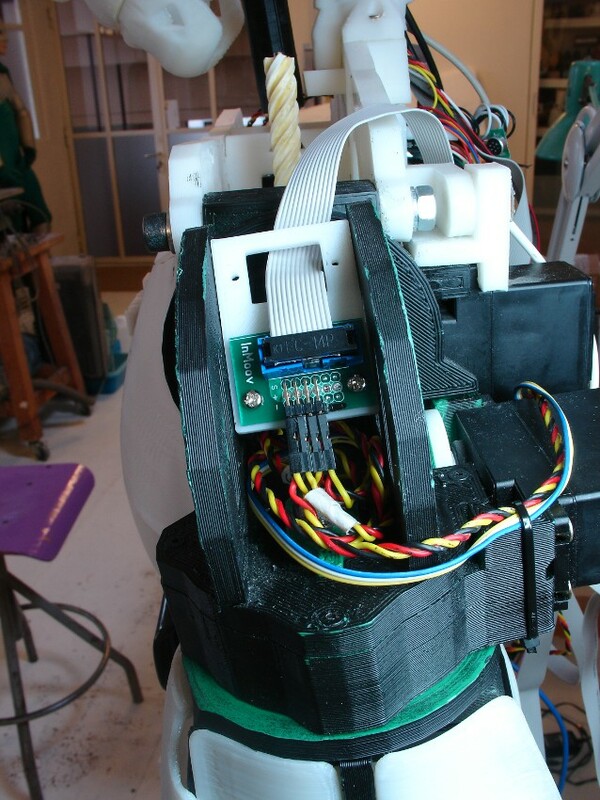 I printed the head, torso, got all servos required for the build and i am currently looking into the Nervo Board. Is the complete schematics available and board layout available somewhere? The Nervo board has been realised with the purpose to financially support InMoov project and to maintain the website. 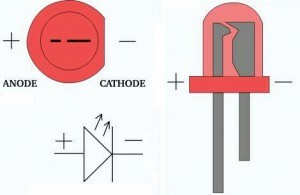 Therefore the schematic and layout are not available. I want to find the PCB design for the nervo board but I can’t find it. Can you guy tell me where it is? 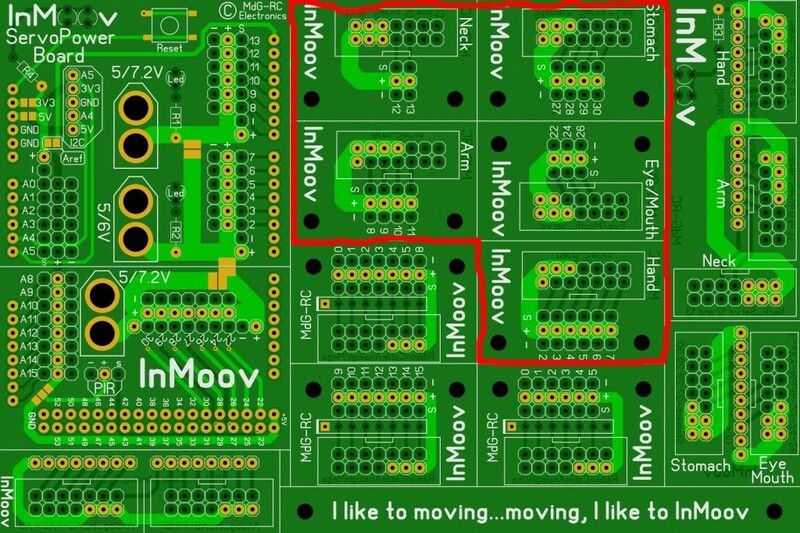 The NervoBoard PCB file is right reserved for to help financialy InMoov project to experiment and evolve. I’d like to buy the Nervo Board. But I need a purchase receipt on behalf of my University, can you do that? Sorry for posting here, but I did not find a contact link in the shop. When purchasing the Nervo Board, once the order is shipped and complete, you receive an email which has a link to your invoice. Hello sir I need this nervo board in India. How many days it will take arrive to me? It takes between 2 weeks and 30 days for your country once it is shipped. The custom of your country sometimes holds the package longer than normal. I’m working through the Nervo Board tutorial with my beginner soldering skills. I was wondering, what power source are you using? What is the difference between using the same voltage for all servos vs having a different voltage for all servos? I’m trying to get set up to move just the wrist servo at the moment to make sure everything has a good connection. You can use a power supply 6V50Amps or a battery pack 6V12AH. (See the Hardware and BOM page). Most servo motors handle 6V, if you bought the one I recommend on the InMoov site, chances are that you can give them 6V. To simplify the soldering task, just give 6V to all your servos.